Videos essays have become a favoured medium of expression for creators. A huge part of the credit for this goes to YouTube but the availability of good music, cheaper microphones and low cost of editing has made it easy for anyone with a good idea to make a video essay. I remember when I first had an overwhelming urge to learn more about cinema and filmmaking, I scourged for books at flea markets. But, for someone curious about understand filmmaking today, there are a bunch of great YouTube channels to go to. So this is a list of 5 channels that consistently create great content on cinema, for the all the curious kids out there. For who: If you are just starting to fall in love with the art of filmmaking, CineFix is the place to start. They create content that is quite accessible for a film lover novice. Type of content: CineFix mostly creates video essays in an easily consumable list format. The content does not go as deep into filmmaking as the other channels in this list but it makes up for that with the breadth of topics covered, from lists on top villains to film history and pop culture. For whom: For film fanatics who love writing screenplays or have a curiosity to know the thought process behind each scene in a movie. Every great director and screenplay writer has a deliberate core idea behind each shot that ends up in the final cut of the movie and its this core idea that “Lessons from the Screenplay tries to uncover. Type of content: 15–20 minute videos that take a specific film, find its core idea and then breaks down how the screenplay communicates the core idea to the viewer. For whom: If you want to know more about the process of an artist and the history of his work, this is your go to channel. An interesting part of the discovery of each artist is that you get to learn that they had very few core principles and their life’s work was grounded in these principles. Type of content: Every frame a painting does videos on the men behind and in front of the camera, breaking down their life’s work and getting to its fundamental principles. A lot of videos are on comedy or comic artists, so it’s also a good place to start if you want to learn visual comedy. For whom: When you go deeper into filmmaking or great screenplays, you understand that theres something more deeper at play here, there is an underlying philosophy to it all. Wisecrack is to help you along/get you to this realisation. Type of content: Wisecrack as it says in the channel description “helps you find deeper meaning in the things you love” with 15–20 minute videos, and the content is also a good primer in philosophy. For whom: If you love podcast length content that goes deep into filmmaking, this is it. 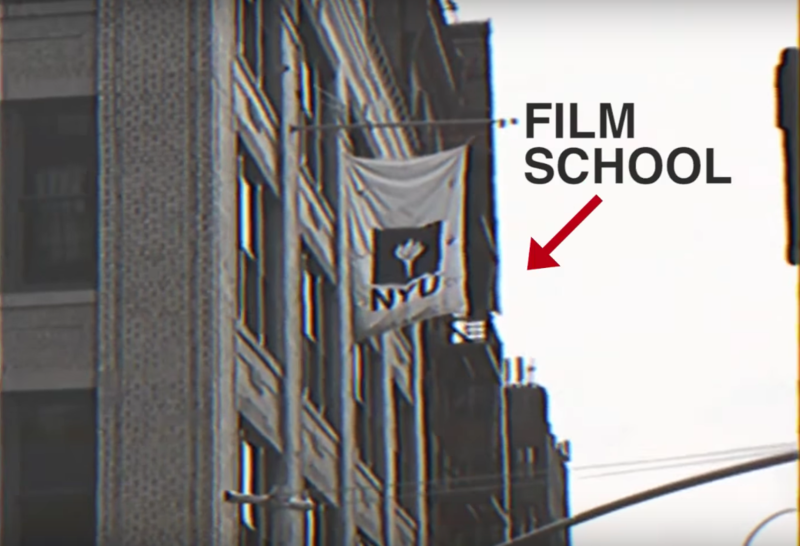 It is almost a mashup of everything that you would probably learn in film school. Type of content: Folding ideas is the most offbeat of the 5 mentioned channels in terms of presentation. It has a talking head (the cynical Dan Olson) and his companion Foldy. The content is 25–30 minutes long and Olson makes sure he strikes home with every concept he mentions. The content jumps between filmmaking, philosophy and pop culture. This is engrossing stuff. Have any other channels that you would love to see on this list? Comment below and let me know.